Posted in: The Interviews. Tagged: BraveWords, Coming Home, Hypocrisy, Pain, Peter Tägtgren, Rammstein, Till Lindemann. 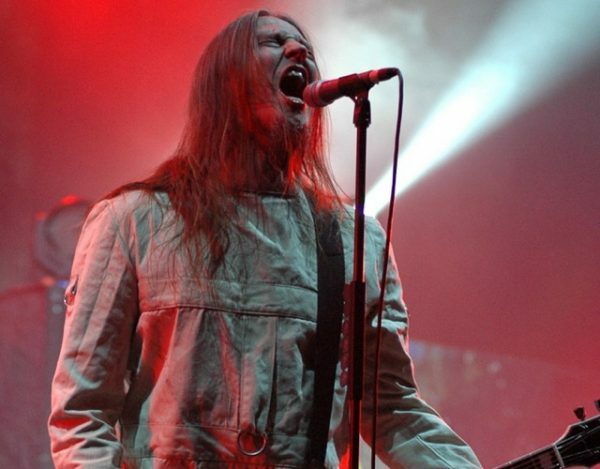 Amongst metal’s heaviest, darkest and meanest diehards Peter Tägtgren is known first and foremost as the frontman and founder of Hypocrisy, then as a producer who has racked up time in his Abyss Studio since 1995 with seemingly every metal band under the sun. There’s no getting past the fact, however, that his greatest success to date is his mainstream-ish electro-industrial outfit Pain. Originally launched as a one-man pet project in 1997, Pain now boasts a real band line-up and eight albums in their catalogue with no brick walls to slow them down in sight. The newest outing, Coming Home, is distinctly Swede-powered Pain boasting its fair share of surprises, from releasing its sick-riff heaviest track (“Call Me”) as the lead single, to an unexpected guest vocalist, to some serious balladeering on the title track. And clean singing. Lots of it. 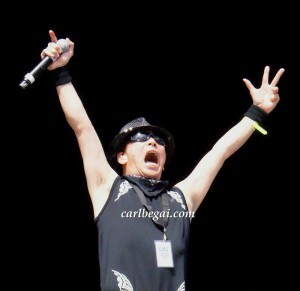 During the five year gap between You Only Live Twice (2011) and Coming Home, Pain did a decent amount of touring and Peter succeeded in blindsiding the metal community by teaming up with seemingly reclusive Rammstein frontman Till Lindemann. The duo released the Lindemann debut, Skills And Pills, backed by some huge label confidence and promotional firepower, guaranteeing that everyone heard about Lindemann whether they liked the Pain-Stein sound of the project or not. Posted in: The Interviews. Tagged: BraveWords, Charlotte Wessels, Delain, Martijn Westerholt, Moonbathers, Nightwish, The Human Contradiction. Get past the fact the title for Delain’s new record sounds like an episode of the Teletubbies, and that the artwork is perhaps better suited for a ’70s hippie album than a metal band, Moonbathers is the all-important next step in a career that could have easily – some might say should have – wheezed and died years ago. Diehard fans will argue that Delain’s 2012 album We Are The Others yanked them out of symphonic metal obscurity, but it was The Human Contradiction two years later that made Delain big deal players on an international scale. That record stood head, shoulders and elbows above anything Delain had offered previously and set the bar for the follow-up pretty damn high, particularly since the album’s appeal led to major tours with Sabaton and Nightwish, guaranteeing maximum exposure. The fan-fuelled jury will weigh in over the coming months on whether the band succeeded in meeting the challenge, but from a former fence-sitting convert’s point of view Moonbathers is even more diverse than its predecessor, the song-writing top notch. 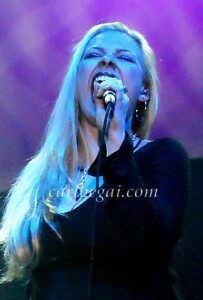 And give Delain an extra point for having the audacity to cover the Queen classic “Scandal”. 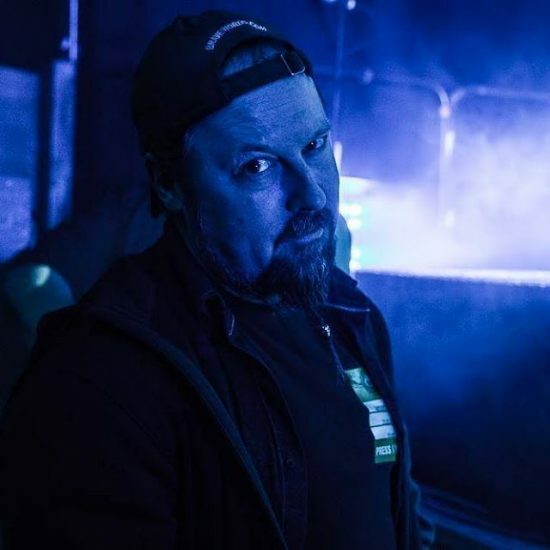 Founder / keyboardist Martijn Westerholt, who started his career as a member of Within Temptation way back when, agrees that the 2016 Nightwish tour through North America was one of the best forums possible to introduce new material to Delain’s growing fanbase, which was one of the reasons for releasing the Lunar Prelude EP early this year. Posted in: Administrivia. Tagged: Al Pacino, BraveWords, BW&BK, Carl Begai, crowdfunding, Grim - My Way To Hell, Joel Gausten. 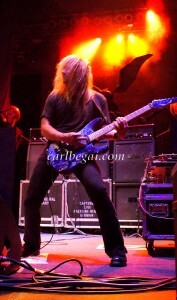 For more than two decades, Carl Begai has been a leading voice in Metal journalism. Whether he’s reporting on acts all over the world for BraveWords.com / Brave Words & Bloody Knuckles (BW&BK) or offering various musings on CarlBegai.com, he consistently provides an in-depth, unpretentious and often amusing take on the world of music. Now, he is preparing to steer his work in a GRIM new direction. 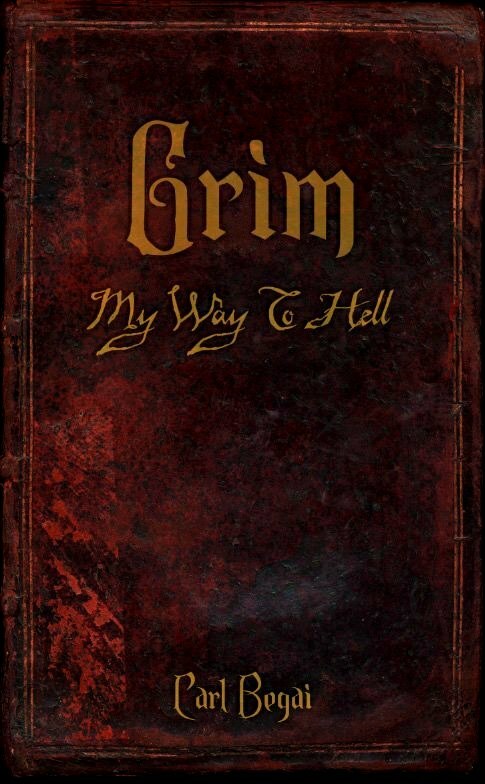 Boasting cover art by former BW&BK graphic artist Hugues Laflamme, GRIM – My Way To Hell is Begai’s first work of fiction and his first book since 2008’s Fire and Fame (with Bonfire’s Joerg Deisinger). He has been “dabbling” with GRIM since 2011, when he was inspired to start putting words together after watching The Devil’s Advocate with Al Pacino. In one pivotal scene, Pacino – in the role of The Devil – delivers a powerful speech on how God is “an absentee landlord” when it came to caring for humanity. 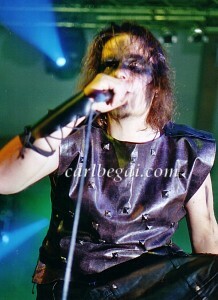 Fans of Begai’s work received their first tease of GRIM when he posted the book’s prologue on his website in 2012. Posted in: The Interviews. 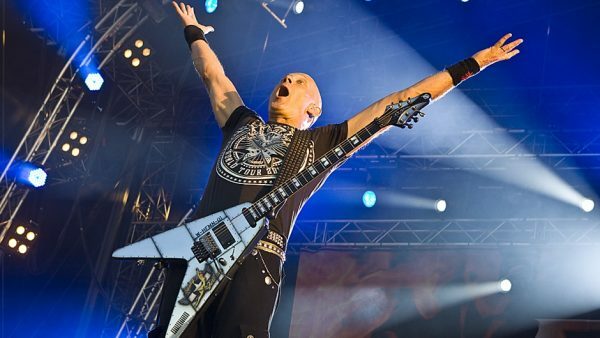 Tagged: Accept, BraveWords, Headbanger's Symphony, Wolf Hoffmann. Posted in: The Interviews. Tagged: BraveWords, Destruction, Randy Black, Schmier, Under Attack, Vaaver. 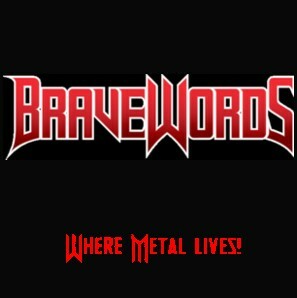 Seeing as how BraveWords lays claim to being Canada’s authority on metal and boasts an international reach that few can compete with – we’re a humble lot up here in the Great White North – it falls to us to acknowledge the victory of fellow Canuck and drummer extraordinaire, Randy Black, who made a small but significant contribution to the legacy of German thrash masters Destruction in 2015. Thus, going in to discuss the band’s new slab of violence Under Attack with Destruction frontman Schmier, the first order of business was to find out how Black fared filling in behind the kit while permanent drummer Vaaver took some time off to be with his family early last year. Fast forward to the present, where Under Attack closes the four year gap since Spritual Genocide. 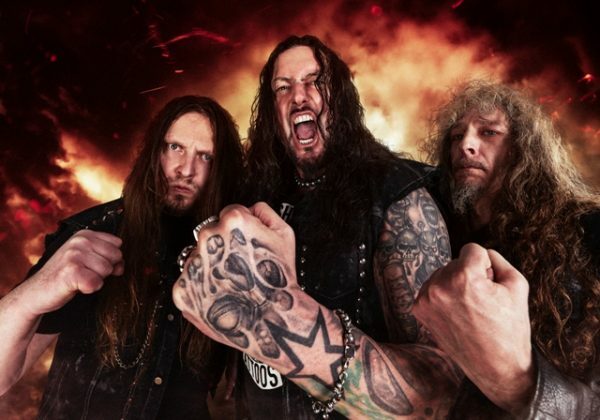 An unusually long time between Destruction albums, but according to Schmier it was a conscious move on the band’s part to take their time making rather than having to deal with unexpected roadblocks. Posted in: The Interviews. 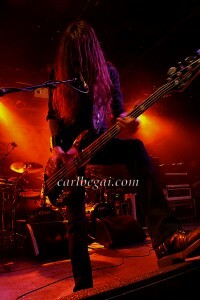 Tagged: BraveWords, Coal Chamber, DevilDriver, Dez Fafara, Trust No One. 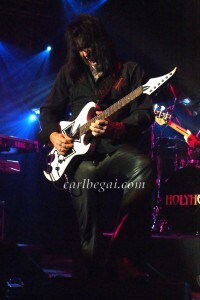 More often that not, band biographies are loaded with show-off information and adjective-tweaked factoids meant to sell the artist in question to the press. Makes sense if a label or management is pushing a new signing, but it comes off as trying to sell snow to an Eskimo when the band has been around for over a decade and has seven albums to choose from. In short, trying to sell a veteran and altogether successful band’s new work on hype rather than substance is insulting to the folks behind the music. 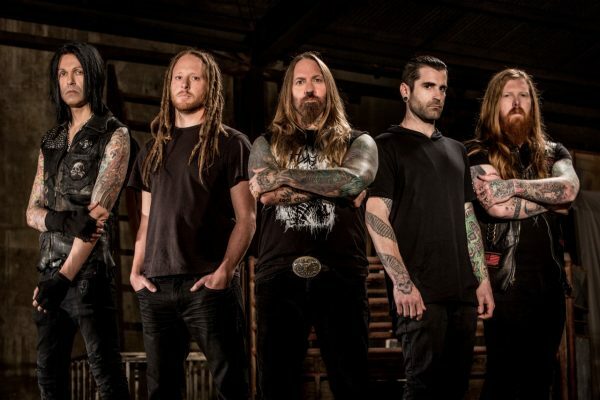 This is particularly true of DevilDriver and vocalist Dez Fafara, who launched the band in 2002 after carving a path into the distortion-driven music scene with Coal Chamber beginning in 1993. 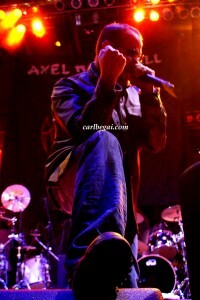 He’s quite content and able to to let his music do the talking, as on the new DevilDriver album Trust No One. Thus we leave it to him to describe DevilDriver; the only overview that really matters in the end. A nifty little stamp, sure, but it still reeks of desperation on the part of the media or management as trying to put DevilDriver in a convenient little box. Posted in: The Interviews. Tagged: BraveWords, Charlotte Wessels, Delain, Lunar Prelude EP, Martijn Westerholt, The Human Contradiction. 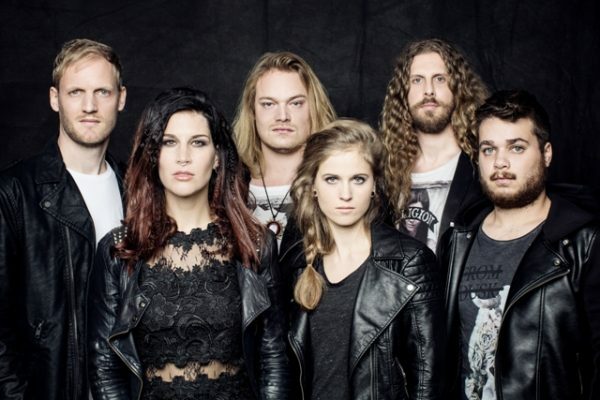 There was a time when the most interesting aspect of Dutch symphonic rockers Delain was that they’d taken their name from the Stephen King fantasy novel, The Eyes Of The Dragon. 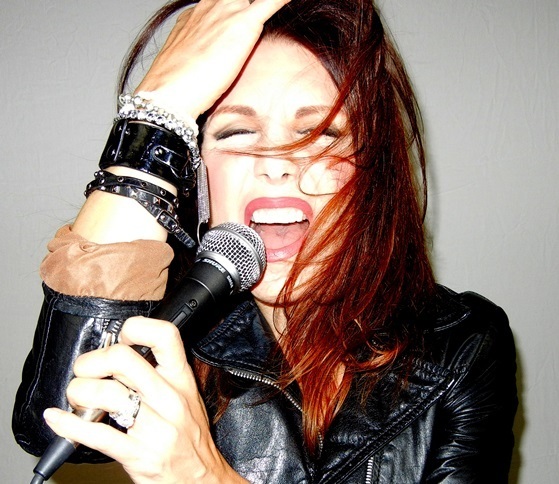 That isn’t to say the band had nothing to offer when they surfaced in 2006, but as a female fronted act following in the wake of fellow Dutch artists The Gathering, Within Temptation, After Forever and Epica, Delain was a tiny “So what?” blip on the metal public’s radar in comparison. In 2012 the band was in danger of being crushed by label issues surrounding the release of We Are The Others, but 2014 saw their fortunes change for the better with an unexpectedly brilliant record, The Human Contradiction. A heavier sound, out-of-the-box songwriting, a new record label, and several international touring opportunities shoved Delain towards the top of the heap, doing wonders for their credibility. 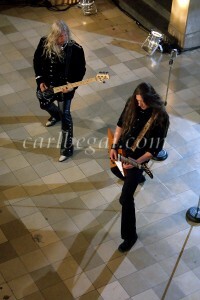 Their push to the front of line continues with the release of the Lunar Prelude EP, issued the same day as the beginning of their new North American support tour with Nightwish (February 19th).